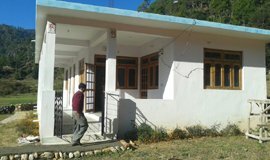 Kausani is a beautiful hill station, Populary known for its mesmerizing landscapes all over the India, rich green surroundings, thick forests, peace and tranquilty. 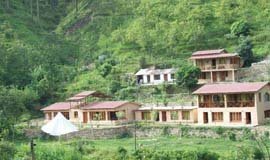 Crowned as "Switzerland of India", this hill station has many things to offers but most important is the incrdible 300 kilometers wide comprehensive glimpse of Himalayan peaks such as Trisul, Nanda Devi and Panchchuli. 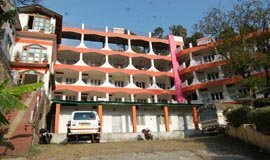 Kausani situated, 56 Kms north from Almora district and 53 Kms from Ranikhet, 125 Kms from Nainital and 146 Kms from Jim Corbett Nainital Park. 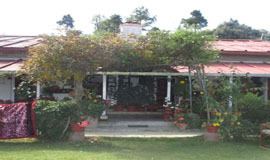 Kausani can be the perfect weekend destination for Munsiyari tour which is 92 Kms from Kausani. 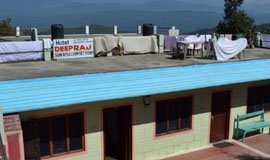 There are many Cheap Hotels available in Kausani offering great tariff and facilities for tourists. 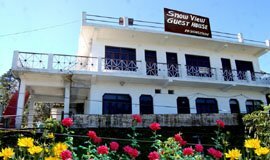 Some of the Hotels are situated at such locations from where the guest can easily capture the breathtaking views of the snow capped Himalayan Mountains. 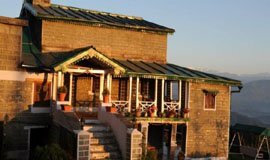 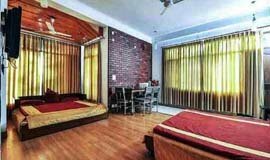 Here is the complete list of Best Budget Hotels in Kausani, offering great views of Himalayas and rich Greenery as well as good tariff and discount Upto 60%. 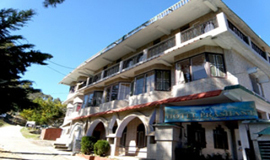 Hotel Grand National, Kausani is nestled in the lap of nature, surrounded by lush green forest and tea garden. 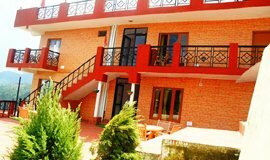 From Hotel one can have an unobstructed magnificent view of mighty Himalaya as well as the amazing view of sun-rise and sun-set. 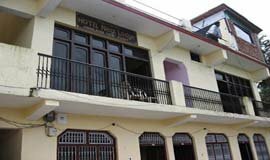 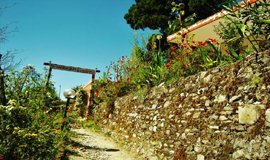 Hotel Negi Lodge offers a fine choice for Kausani country house accommodation.Each room includes Heating adding to the features that make for a comfortable stay.